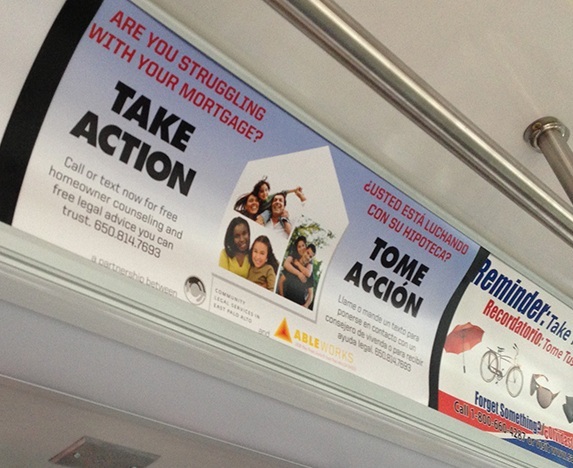 SamTrans and Caltrain Offer Unique Advertising Opportunity for Non-Profit Organizations – Peninsula Moves! As the agency that manages both SamTrans and Caltrain, the San Mateo Count y Transit District has always valued the essential connection we have with the communities of the Peninsula. So, along with information on upcoming service changes, schedules and timetables, passengers travelling aboard SamTrans and Caltrain can check out a series of advertising campaigns inside the transit vehicles. Only these ads aren’t trying to lure customers to buy a new car or entice them to taste the latest fast-food burger. The interior space of SamTrans buses and Caltrain cars is only available for messages from non-profit community organizations. With over 90,000 daily passengers, Caltrain and SamTrans provide a vast audience for groups aiming to raise awareness about a variety of important issues. The advertisements can be purchased for a one-time $50 administrative fee. 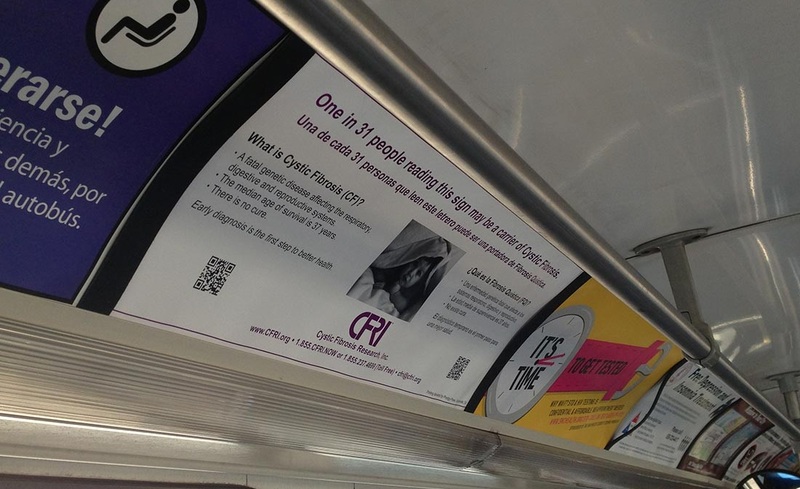 The advertisements run by CFRI in SamTrans and Caltrain remind passengers that one of every 31 people in the county carry the genes responsible for cystic fibrosis. The information cards are meant to raise awareness and provide details around how to get screened..
SamTrans has 10 slots available for non-profit advertisements and Caltrain has four. The program has proven very popular—the space on SamTrans is booked through December and through January on Caltrain. They may lack the glitz and glamour of their commercial bus side counterparts, but the non-profit organizations’ advertisements help to raise awareness and educate our customers about issues that affect their lives, their homes and their children. For both SamTrans and Caltrain providing this space to our community counterparts is just one of the ways we serve San Mateo County.